With the start of summer events dedicated to surfing and especially to support and multiply the Italian coast begins to live and to draw sportsmen and spectators from all over the city. This time it’s the Salento coast, especially to the beaches of San Cataldo, a town not far from Lecce, Salento exceptional tourist destination. Thanks to the long beaches, low cliffs and beauty of the sea is shallow and clean, San Cataldo has become over the years a paradise for all those who live the sea not only as swimmers but also as a sport. There are several possibilities to use equipment for water sports in addition to making great diving because of the waters rich in marine life and underwater ruins. The fine white sand stands on the territory surrounded by a thick pine forest that makes the landscape even more spectacular. A special thanks to the Region of Puglia, Lecce Province and Municipality of Lecce for having endorsed an innovative project in Salento. Exceptional location one of the seaside resorts of San Cataldo, Lido York located on the waterfront of San Cataldo in via Amerigo Vespucci (sea side). In 1931 was built the shore consists of 600 cabins, a restaurant and bar with a beautiful round the sea. And it is the flagship restaurant of the hotel, who has served such names as Primo Carnera (champion world heavyweight boxing), Tito Schipa (great tenor of the time). 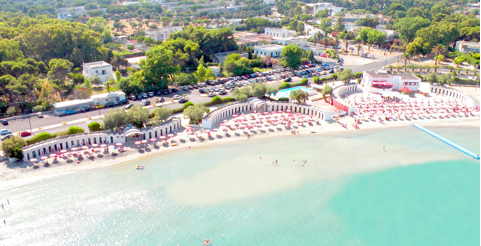 In the 70s the beach undergoes a restyling and being redesigned according to the details of the ‘Mediterranean architecture and consists of 90 cabins equipped with every comfort and wide spaces dedicated to sports, enriched by a semi-Olympic pool, fitness area, a football field with synthetic grass , 4 tennis, beach volleyball, beach tennis, baby Park. 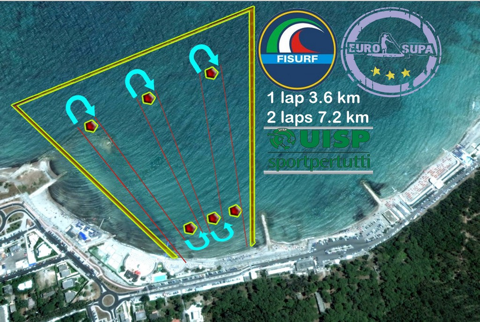 The tender will be valid for both the national circuit FISURF, both for the European circuit EUROSUPA. In a landscape so welcoming has landed once again the people of Sup with a new initiative: the Sup Cup Beach Race, a race that will be held July 7, 2013. The route of the race will be a classic beach race, a round of six buoys for a total of 3.5 km repeated 2 times the class race agonist, amateurs instead it will only make you one. The class agonist race after the first round will have to make a pass at the beach with surfboard and paddle in hand, and then back in the water and finish the second lap and cross the finish line. The circuit is sensitive to changes in vision dictated by the weather and sea conditions. The event will be valid for both the European circuit Eurosupa, for both the Italian circuit Fisurf. The race was organized by Starboard Sup Academy, Suburban ASD, ASD Shaka Windsurf, Shop Radical and Surfinsalento.it. Thank UISP “Italian Union of Sport for All,” sports promotion agency recognized by the National Olympic Committee, which offered the sum of 2,000 Euros in prize, the European edition of this great event will land in Puglia. The event will be streamed live, thanks to RADIONDASTEREO with the weekly column “A FRIDAY FOR LIONS” and with the exclusive direction of the FIVEONE PRODUCTIONS. Official photographers of the event, Vito Montenegro, Marco Ranieri.